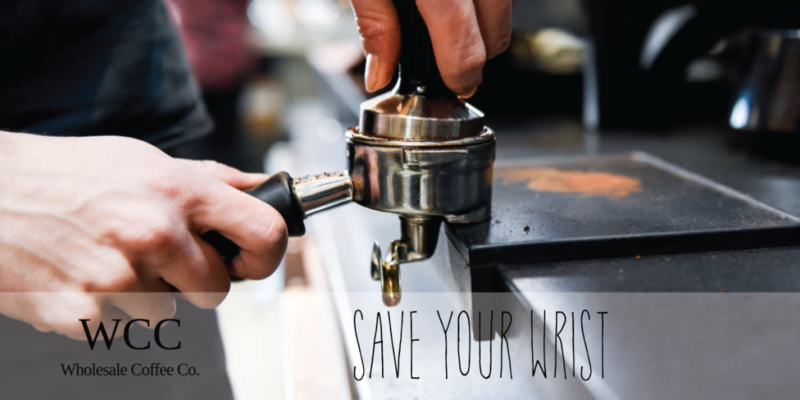 Save your wrist | Wholesale Coffee Co.
There’s a lot of discussion on how hard to tamp, but not so much on tamping procedure. If you’re pumping out coffee all day it’s hard work on your arm and wrist to tamp hundreds of times. So how do you sustain your work without getting RSI? The key is leaning into your tamp with your shoulder over the tamper. Let the weight of your body press into the tamper instead of using your wrist. This ensures a consistent pressure and less risk of injury. Oh and the correct pressure to tamp is around 15kg, but tamp pressure is not nearly as important as the fineness of the grind or getting the dose correct.